DALLAS, Oct 29, 2010 / FW/ — Friday, October 29th. The scene on this date in 1945 at Gimbel’s Department Store in New York City was a madhouse. Big ads the day before had trumpeted the first sale in the U.S. of a new writing instrument that guaranteed would write for two years without refilling — the ball point pen. By the end of the day, the store had sold its entire stock of 10,000 at $12.50 each. The new pens were invented by two Hungarian brothers who set up a factory in Argentina. 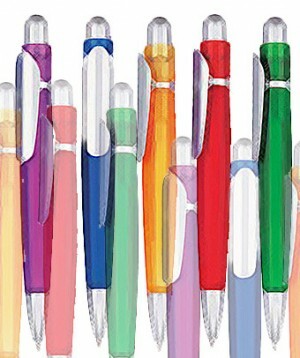 The idea of the ball point pen was first patented in 1888 by John Loud of Massachusetts, who never made any pens. Now, ball points are a standard item in the nation’s 8,600 office supply stores, which have sales of nearly $21 billion a year.